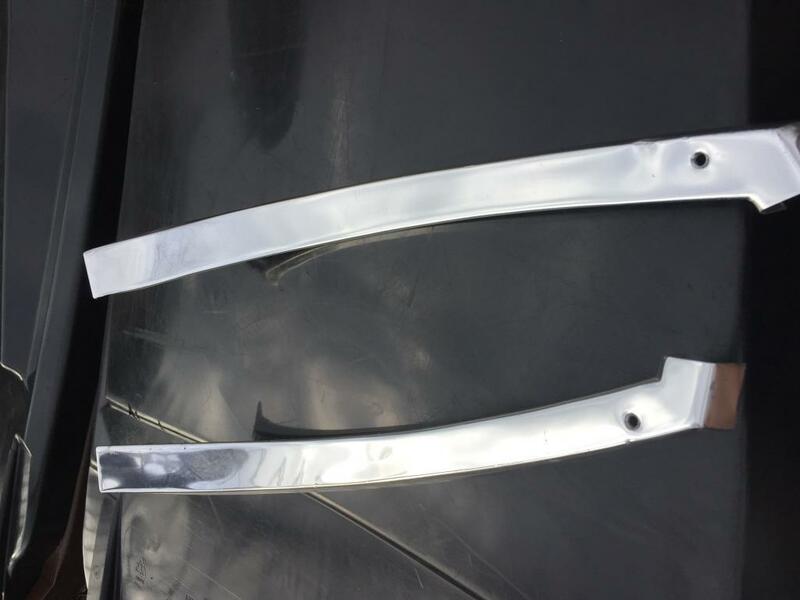 I want to buy the sail and targa trim chrome pieces for reinstall on my car. Currently undergoing a respray and while I was at it I am refreshing the sail panels and need the Targa bar pieces that face the rear of the car. Let me know what you have before I go and buy brand new from PP or AA. Also looking for the bottom edge chrome if you have that too. Bought mine from AASE Sales. Your painting your car so don’t go cheap on chrome pieces. They will stick out like a sore thumb. Need to call them and give them the part #'s and beat them down on price, I got the 2 rear vertical trim pieces for $152 each everyone else was at $200++. I just looked this up and I stand corrected, it says Genuine OEM Porsche part! but price is $223 "on sale "
I bought the factory Porsche pieces. They look great but they don’t fit correctly...at all.